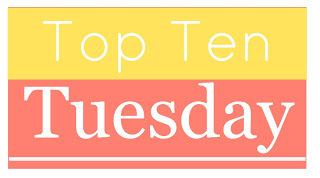 A combination of work and oversleeping and a particularly stubborn summer cold meant that even though I planned out this week’s top ten tuesday, the post didn’t go up this morning like I planned. In a desire to still share some hyped books I’m super surprised I haven’t read here’s a much less visually interesting (and pretty late) version of this week’s topics. Would love to know which of these I should get around to if you want to tell me in the comments. Thanks friends! Gallagher Girls is fun and I preferred Maggie Stiefvater’s Lament & Ballard tot he Raven Boys. I know, I know, I can’t believe I haven’t read these. Artemis Fowl, but stick to the first three! I don’t know how I missed these as a teenager. Good to know about the first three! You’re probably able to guess which one I’m going to say but I’m going to say it anyway: READ THE RAVEN BOYS!